We provide certified Level II and III PT Liquid Penetrant Testing inspectors who are in accordance with NAS-410, SNT-TC-1A, ACCP or CP-189. We can directly perform your inspections, or we can directly provide instruction on how to provide the service for yourself. We want to bring success to your company. Common codes for Liquid Dye or Fluorescent Penetrant Inspections include ASTM E-1417, E-165 and ASME Section V Article 6. Our professional team is available to perform your NDT Liquid Penetrant Testing, perform vendor audits, surveillance and known defect progression inspections, create techniques, provide pre-audit support, qualify NDT inspectors, and build your NDT program. We can also provide staff augmentation and shift support during elevated workload conditions. Available equipment can include a wide variety of portable systems. Post-emulsifiable and water washable liquid penetrant processing lines are at the ready. When we are working, we do not want you to have a single worry. 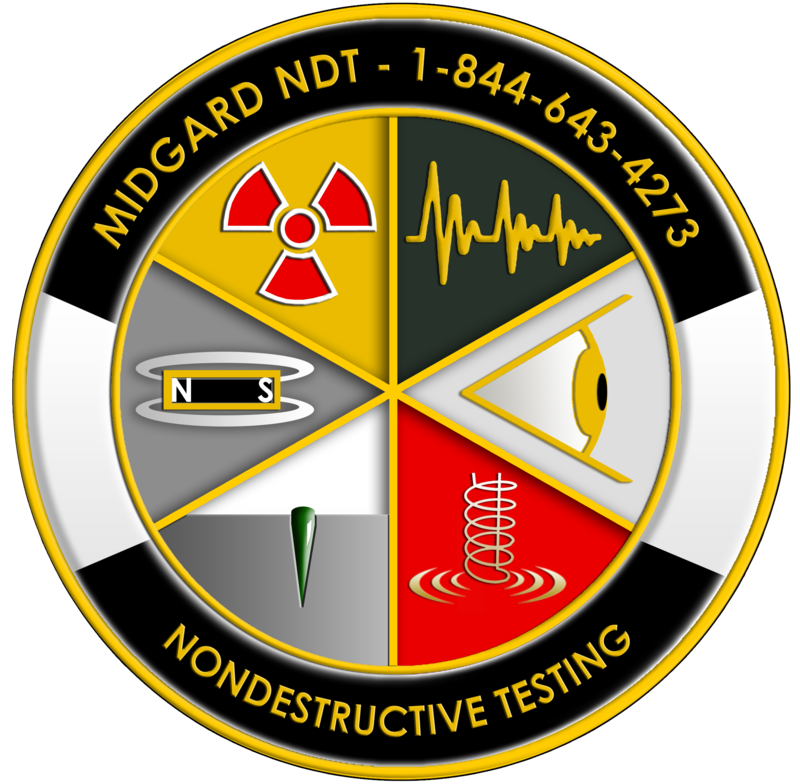 Our expert NDT inspectors are properly certified. Our full compliment of instruments are all standardized and calibrated, and each inspector is versed on using the correct measuring devices. Quality is fundamental to us. A short list of specifications and standards regulating the use of Liquid Penetrant inspections: Boeing BAC 5423 PSD 6-46 or 8-4, Boeing PS 21202, Pratt & Whitney FPM, NAVSEA 250-1500-1, NAVSEA T9074-AS-GIB-010/271, MIL-STD-2132, AMS-2644, AMS-2647, Honeywell EMS 52309, General Electric P3TF2. If your own liquid penetrant line suddenly breaks down, and production begins to back up, our doors are open! We will fully accept your overflow work. Our equipment can run multiple shifts, 24/7. Penetrant Testing is a Nondestructive Testing method that can be expressed as an enhanced Visual Inspection. PT increases the visibility of finite flaws that ordinarily cannot be seen with the eye alone. Penetrant testing utilizes a liquid with a high surface wetting ability and is applied to a material’s surface. Capillary action causes the liquid penetrant to “penetrate” into pores or cracks. Residual penetrant is then removed from the surface area followed by a developer. If the initial penetrant has settled into a crack along the surface of the material, the developer is used to bring some of that penetrant outward, so the penetrant is more readily seen. Capillary action is an important factor throughout the entire penetrant inspection process. Capillary action is the phenomenon of a liquid moving through a confined opening, due to a property called surface wetting. A few examples of Capillary action in nature are where plants draw water up from the ground through their roots then to their branches and leaves to supply their nourishment, and the human body has miles of capillaries that carry life-sustaining blood to our entire body. Penetrant Inspections are best if applied to relatively smooth surfaces. Defect indications become less distinguishable as the background “noise” level increases. Various other NDT methods are available for rough materials. For more information, give us a call. Viewing specifications and standards regulating the use of Liquid Penetrant inspections can bring great insight. A brief list of standards and regulations are as follows: Boeing BAC 5423 PSD 6-46 or 8-4, Boeing PS 21202, Pratt & Whitney FPM, NAVSEA 250-1500-1, NAVSEA T9074-AS-GIB-010/271, MIL-STD-2132, AMS-2644, AMS-2647, Honeywell EMS 52309, General Electric P3TF2.